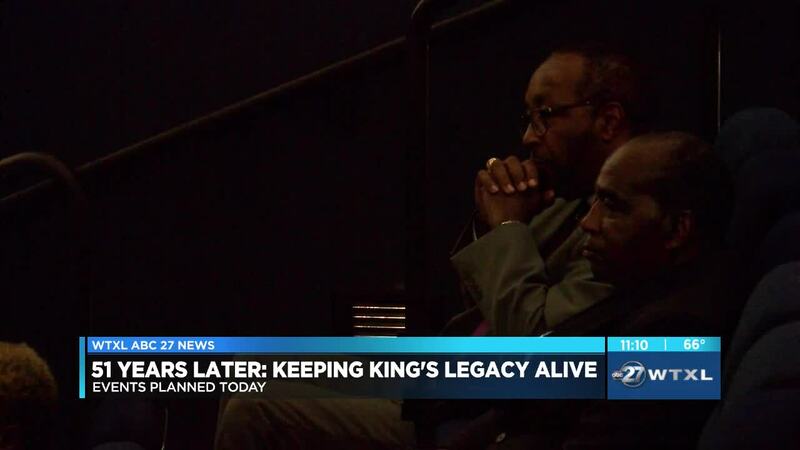 TALLAHASSEE, Fla. (WTXL) — People from all over have been honoring the life and legacy of Dr. Martin Luther King Jr. Thursday marks the 51st anniversary of the day that Dr. King was assassinated at the Lorraine Motel in Memphis, Tennessee. Thursday night, people in the community came together at the Challenger Learning Center to hear Dr.King's iconic "I Have a Dream" speech. Michael Dobson CEO of the Dream Foundation says t's important to acknowledge the challenges that the community is dealing with today in Florida. "I think it was really important to just remember from wence we came, and to have some measuring stick as to where we are today. What you see is proof of hard work and perseverance and overcoming obstacles and overcoming obstacles that were put in your way purposefully," said Dobson. Dobson says showing the speech is to remind people of what is going on and to remember how people stood up for what they believed in.